Hi there! 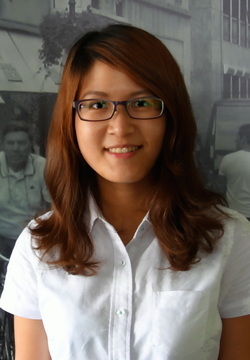 I’m Julie, currently a sophomore majoring in Energy at National Cheng Kung University. Sometimes my friends call me MCJ because I’m into rap music. I’m intrigued and inspired by many things in the world, but since an early age, my main interests have revolved around hip-hop music, board games, and Italian cuisine. I grew up in mountainous Nantou County. My parents have always been supportive and have given me a splendid childhood by taking me to travel around the world. I aim to improve Taiwan’s green industry and sincerely hope that green energy will become Taiwan’s main resource in the long term. In the near future, I hope to obtain an internship with the Industrial Technology Research Institute. On campus, I participated in piano club, the Energy Student Association, and WiLLO, a newly established volunteer platform that promotes active volunteering. My current goal is to learn French and play tennis well. TASC 2014 was an unforgettable experience for me. At first I was pretty skeptical, as it was the conference's first year. However it turned out to be one of the most meaningful events for me. The quality of delegates and unique places we visited really wowed me. I like how TASC brings people around the world together to participate in meaningful events. At the same time, we were having heaps of fun. The reflection after each site visiting is my favorite part; being able to see how Americans as well as Taiwanese think and love about Taiwan. During the 17-day road trip around the island, I was able to discover more about my homeland Taiwan -- such a tiny land, yet so filled with warmth and love. I hope that TASC will grow into a well-known international conference that boosts students’ cultural intelligence and cultivates future leaders.